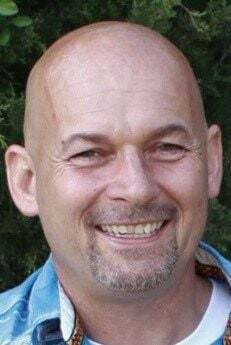 JUSTIN, Texas — Brian Geissler, 53, of Justin passed away Saturday, March 30, 2019. He was born Feb. 18, 1966, in Tilden, Chippewa County, the son of Francis Geissler and Elizabeth Brunson. He married the love of his life, Jami Watkins, July 2, 2010. They have two wonderful boys, Truman and Dexter. Brian also has a beautiful daughter, Alisha. Brian lived life to the fullest and always had a kind word for everyone. Work and play was his passion. He built Quality Painting for the last 30 years. When he met and married his wife, Jami, he enjoyed spending time on the ranch with his family and friends. Brian is survived by his adored wife, Jami; two boys, Truman and Dexter; his daughter, Alisha (Preston) Nermoe, who gave him a grandson, PJ. Also survived is one brother, Joe (Elaine); four sisters, Becky and Brenda, Angela (Jason) Sloan, Renee Metzgar; a stepfather, Bud Brunson; and five stepsiblings, Carla, Jeff, Mike, Scot and Robert. He is departed with his father, Francis; mother, Elizabeth Brunson; and brother, John.